I wanted to share a short reel of some of the video projects I’ve had the opportunity to produce in the USAF. 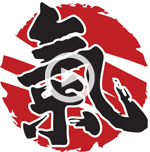 If you’re looking to add high quality video for your dojo website, feel free to reach out to me. I’m happy to offer free consultation.